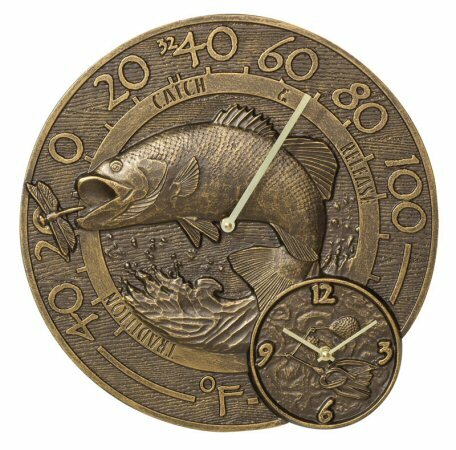 Bass Thermometer Clock is available in two finishes. Bass Thermometer Clock made from recycled aluminum - a perfect addition to the home of the Bass Fisherman! Available in two finishes - Antique Copper and French Bronze. Measures 14" in Diameter.